I’m the queen of tangling things. No matter how carefully I pack up my bag, my necklaces and headphones always end up in knots. It’s a conspiracy, I say! And if you feel my pain—the pain of spending 10 minutes fidgeting with a bird’s nest of white wire before moving on with your life—there’s a simple solution. Often the best technique is one that’s been around for a while. Well, there’s a super-old video from YouTube’s youth that perfectly shows how to wrap your headphones so they don’t get tangled in your bag. (The demonstrator uses original iPod headphones, according to video from 2006, but the wisdom still applies.) For someone like me who’s always in a rush and therefore not interested in any hack that takes more than 30 seconds to do, this one fits the bill. According to user CuriousInventor, start by taking the headphones end in one hand, securing them with your thumb, then begin wrapping the cord around your remaining four fingers. Once you get a couple loops away from the end, use the remaining cord to wrap around the middle of the bunch you just created. Then, finish by bringing the headphone jack through one of the loops. 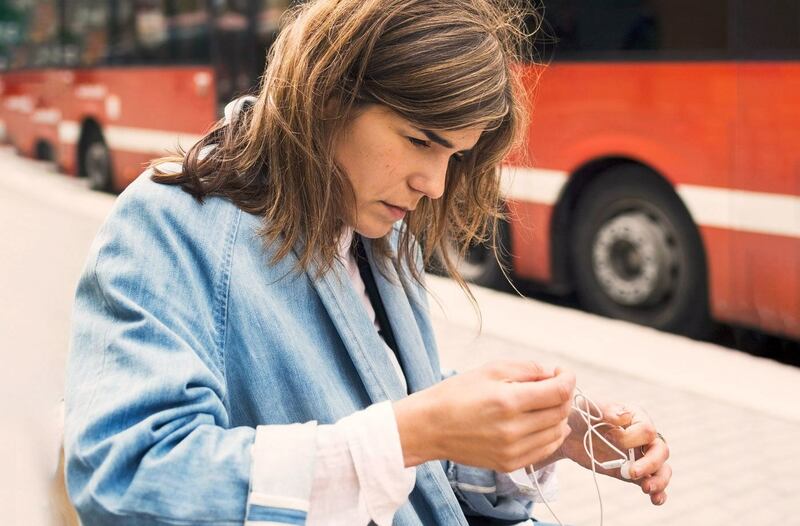 While this wrap job keeps your headphones nice and secure in your bag, using them again is as easy as pulling from both ends: it quickly unravels itself knot-free in a second flat. Pretty magical, huh? Of course, if you watch to ditch the cord life altogether, just invest in a pair of AirPods. Best decision I’ve ever made. If you love hacks as much as I do, there are a couple others you should know about, too. This one eliminates the most annoying part of home decorating: hanging a picture. And there are also a handful that will make your next flight a breeze.